Gui Bueno from Open Knowledge Brazil recently published a post on the Open Knowledge Brazil site entitled: Mapeamento dos REA na América Latina: projeto recebe subsídio da Hewlett Foundation para desenvolver protótipo. Gui has kindly helped with translating the post into English, and here explains how Open Knowledge Brazil has received a grant from Hewlett Foundation for mapping educational resources in Latin America. 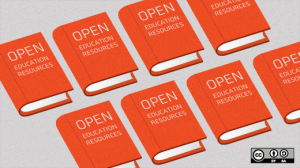 A mapping project looking at Open Educational Resources (OER) [known as Recursos Educacionais Abertos (REA) in Portuguese] in Portuguese and Spanish and elementary education in Latin America has received $ 25,000 from the Hewlett Foundation to start some initial development. 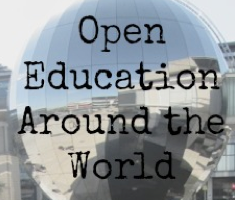 The group is coordinated by Tel Amiel (NIED/UNICAMP) in partnership with Open Knowledge Brazil, Educadigital Institute/REA Brasil (Open Educational Resources Brazil) and EPSOL, Ecuador. In the last decade many different initiatives related to OER have sprung up in different countries, which is welcome progress. However it has become more difficult to understand the movement as a whole and the connection between its various networks of action. Noting this phenomenon, in November last year UNESCO and COL carried out three weeks of discussion with the theme: we can create a global map of OER. The main argument is that maps are effective tools to communicate a message and therefore may be valuable in explaining to shareholders what they are. They are also useful for facilitating the connection and exchange of experiences among groups working in the same areas and dealing with similar problems and solutions who are currently unaware of each other. 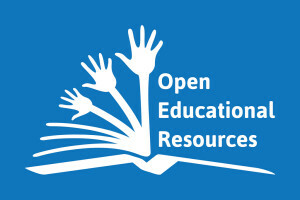 To date Open Educational Resources conversations have occurred mainly in the OER network, for example in the University of Athabasca self-called “Open University of Canada.” There have been more than 900 contributions, which reflects the great interest of the global community to define the best strategies and targets for this mapping. The Hewlett Foundation’s efforts invest time and resources in OER and honour the guiding principles that support this mission. 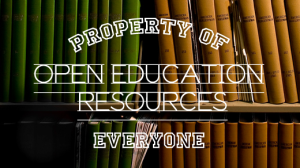 The Hewlett Foundation, which is valued at U.S. $7.74 billion and has invested more than $350,000 in grants during 2012, published an open letter to everyone for proposals for development of the global map of OER call. The goal was to select 3 projects that would receive $25,000 each for Phase 1 of the call: to develop a prototype of the proposed model map. From the 20 proposals submitted by the deadline the following three proposals were awarded funds: Hochschulbibliothekszentrum des Landes NRW, Institute for Knowledge Management in Education (ISKME) and Open Knowledge Brazil. By hosting this project, which is led and developed by Tel Amiel, Open Knowledge Brazil offers support to initiatives aligned to its missions. These 20 proposals came from 9 different countries but only Germany, the United States and Brazil/Ecuador have sponsored projects. You might notice some alignment between the logic design proposals in the fact that they use open mapping and will publish under free licenses. Only five months separate the call for projects and the deadline for submission of prototypes. As said Susan D’Antoni, Advisor to the President for OER initiatives at the University of Athabasca , explained ” The project coordinators are willing to be contacted by interested colleagues, but with the caveat that are very pressed for a short time to complete its work”. Initially there will be two areas of expertise , with the goal of providing a map looking at up to 5 of the most relevant initiatives related to OER in each of the following 24 countries: Argentina, Chile, Guatemala, Colombia, Guyana, Mexico, Belize, Haiti, Nicaragua, Suriname, Bolivia, Costa Rica, El Salvador, Honduras, Panama, Peru, Brazil, Cuba, Jamaica, Paraguay, Venezuela, Dominican Republic, Ecuador and Uruguay. A thorough study of each initiative will be conducted to obtain information on the number of resources they have, the type of description (records and metadata), the software used, the offered technical services (Search, RSS, OAI – PMH, SQI API services), the source of funds, among others. The study will develop a systemic survey of important descriptive information. The property of OER content of surveyed initiatives is called “basic education” (K -12 in English) in Portuguese and Spanish. This definition seeks to combat the shortage of global studies and case discussions that are not related to the U.S. or Europe. By joining partnerships in Latin America, the project can also help to promote the exchange of ideas and resources between these countries , especially between Brazil, the only Portuguese-speaking, and others. Likewise, the choice of basic education contradicts the trend to search only for OER applied to higher education. 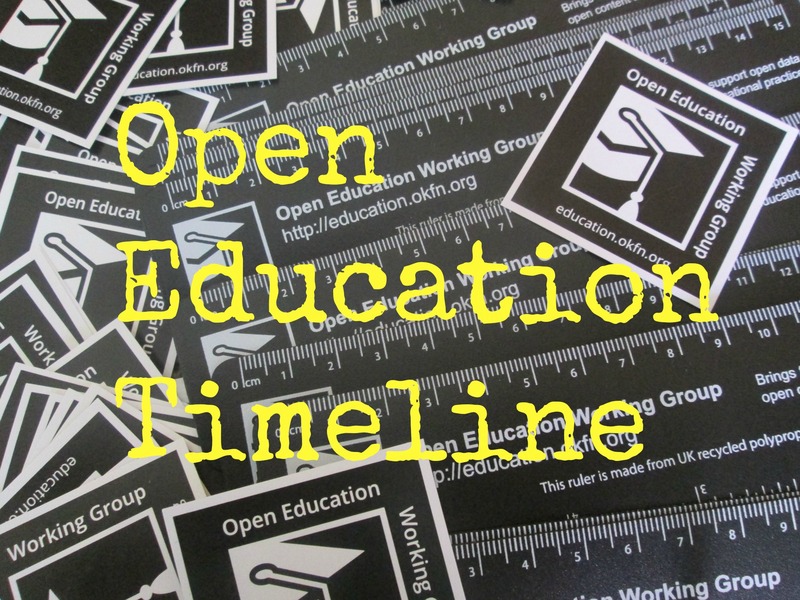 Another area of work will be providing a thorough description and rationale for the choice of a structure (framework) lightweight, open source, web-based and open license, which would be the platform of the mapping of OER initiatives around the world. There is one other important factor that stands out: decentralization, or federalization, rather than a central, unified repository. After the meeting of the beneficiaries, which will take place in April, it is possible that the Hewlett Foundation will offer a new donation to one or some of the projects already considered. The continuity of at least one of the project is hoped for since all prototypes will be mapping all global initiatives OER systems. At this moment in time, the group’s focus will be to build the infrastructure that will allow the connection and harvesting of multiple portals and initiatives through an openly interconnected data values ​​and web semantics. Since it is federated and decentralized, the aim is to allow others to “steal this portal” in order to make that network resources and data redundancy grow. Thus, users will be allowed to set up off- line collections for local use of OER, as the quality of the Internet connection is still precarious in some regions of Latin America. Tel Amiel is a researcher at the Center for Informatics applied to Education (NIED/UNICAMP) and Coordinator of the Brazil working group on Open Education , focused on performing research and development around emerging educational settings involving formal learning and non-formal environments. He has a particular interest in public school elementary education and activities involving new media. Everton Zanella Alvarenga is executive director of the Open Knowledge Brazil and has participated in the several projects over the last few years involving free knowledge from software development, to access to open educational resources. He worked as a consultant for the Wikimedia Foundation in coordinating the Wikipedia Education Program in Brazil and has worked with the Open Knowledge Foundation since 2011, when the Brazilian chapter of the organization was proposed. He co-created the Stoa project of the University of São Paulo, which aims to create a public space for exchange and knowledge production, with a focus on education and science, and has supported various projects in the context of the free culture movement. Xavier Ochoa is a Professor of Computer Sciences at Escuela Superior Politécnica del Litoral (ESPOL), in Guayaquil, Ecuador. Along with other researchers in the region, he coordinates LACLO, the Latin American Community of Learning Objects and Technologies. As part of this community the Latin American Initiative Open Text books (Latin) was born. This initiative seeks to use textbooks at university level, produce a collaborative and open way for teachers in the region. Besides this project Xavier participates in the technical direction of various repositories of educational materials worldwide, as is the case for LA FLOR, Latin America, ARIADNE, Europe, and GLOBE, a worldwide federation of repositories. His interests are in the field of research around Educational Technologies and specifically on Learning Analytics and Informatics (ciração measurement and consumption of information). Priscilla Gonsales is an Ashoka Fellow, Masters in Education, Family and Technology from the Pontifical University of Salamanca, Spain. She studied Design Thinking at the Center for Innovation and Creativity at ESPM – SP , has a postgraduate degree in Management Communicative Processes by ECA- USP and Graduation Journalism . She is co-founder of the Institute Educadigital and has worked in the education and technology area since 2001. As the researcher CENPEC, EducaRede Brazil coordinated the program, an international initiative of the Internet on education present in 8 countries, covering projects educator training, virtual learning communities between schools, and development of instructional support materials, electronics and printed. She has coordinated the REA.br project since 2011 and is an author of the book Open Educational Resources. 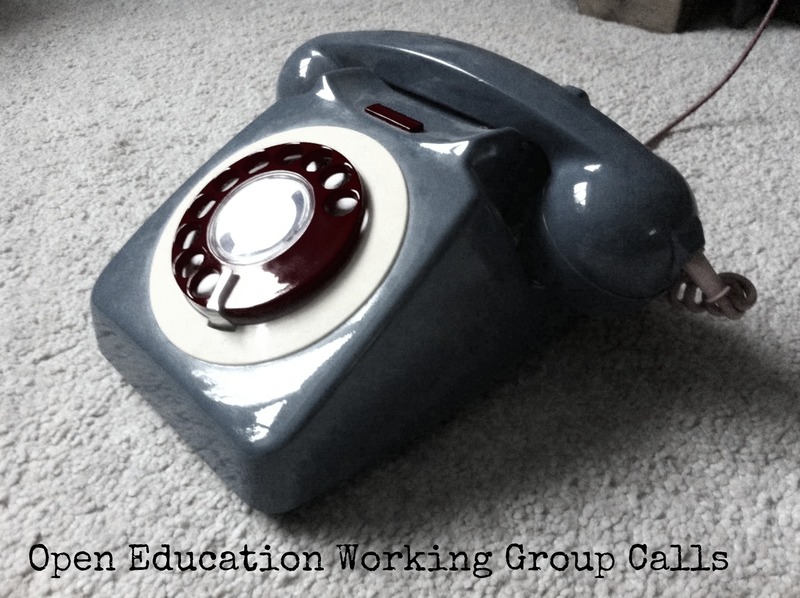 I am a professor in elementary education in Nebraska. We would love to partner with Brazilian education programs!